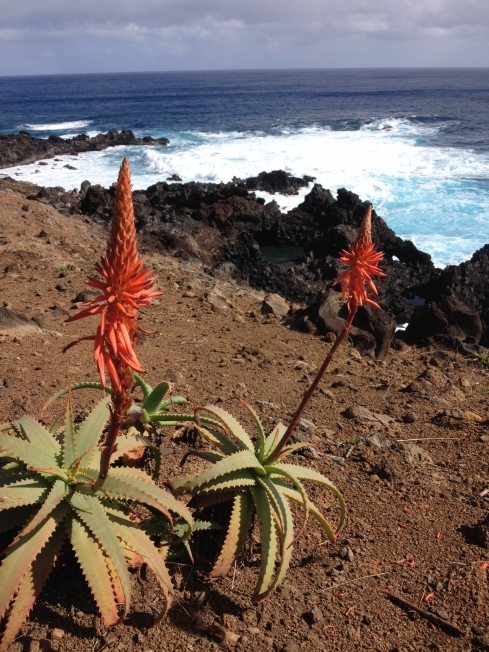 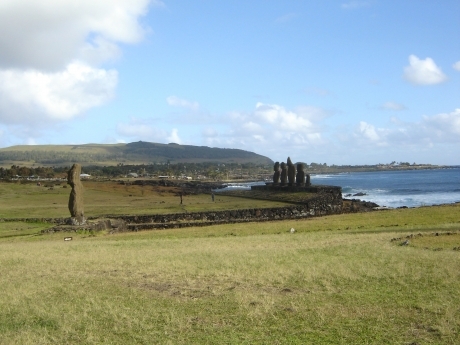 Formed by simultaneous volcanic eruptions this triangle shaped Island in the Southeastern Pacific belongs now to Chile, it was annexed by Chile in 1888 and is known as Isla de Pascua. 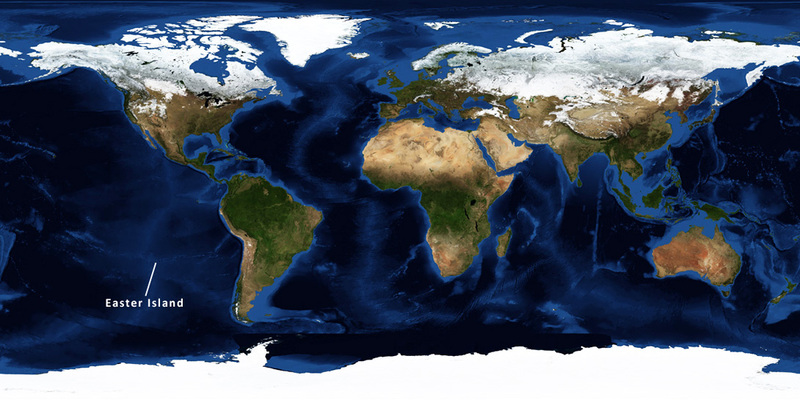 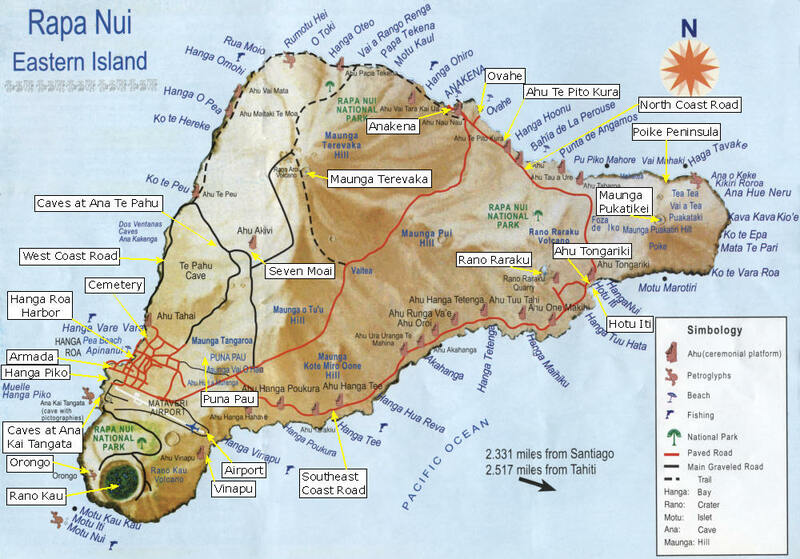 The people there are more Polynesian cause its close to Polynesia and it actually is part of the Polynesian triangle. 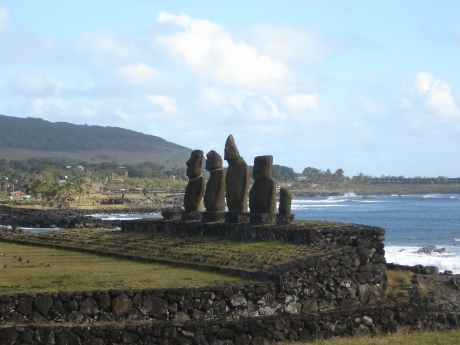 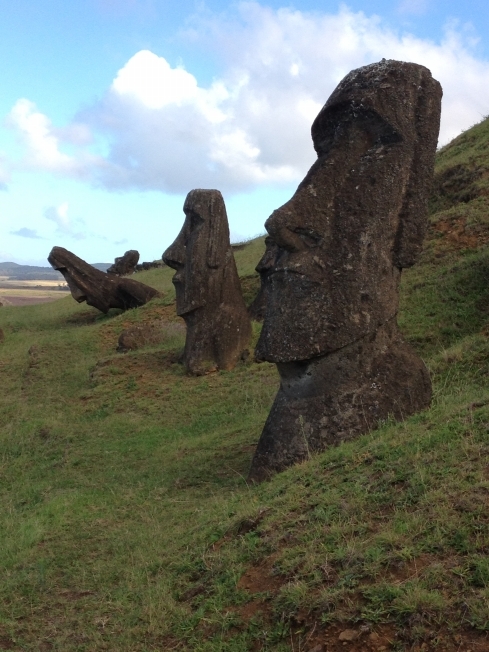 The Polynesian people have their own language and call their Island “Rapa Nui” which means Easter Island offcourse. 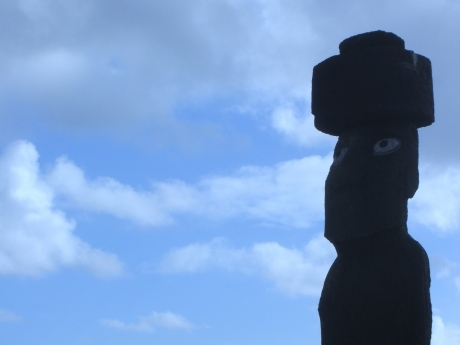 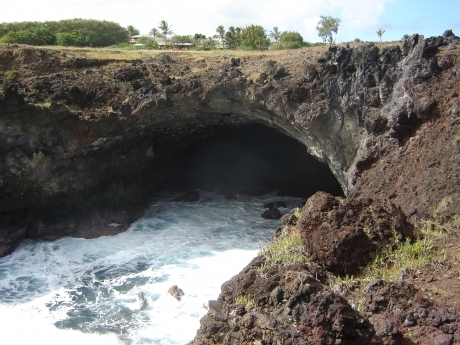 The Island is mostly known for its Moaie statues of which there are many across the Island but there is also a volcano you can hike. 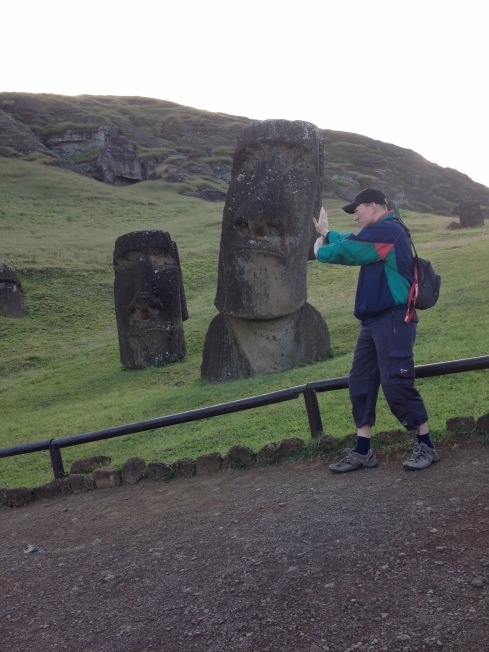 It’s quite a walk from Hanga Roa the main city of the Island, but some of my hostel buddies and me got lucky to get a lift from a some locals, hoppend in the back of a suv and later that day we decided to rent a little jeep to tour around the Island the next day in our search of all the Moaie statues, those statues carved out from volcanic stone are spread all over the Island. 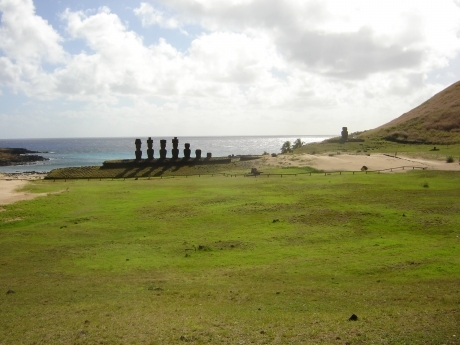 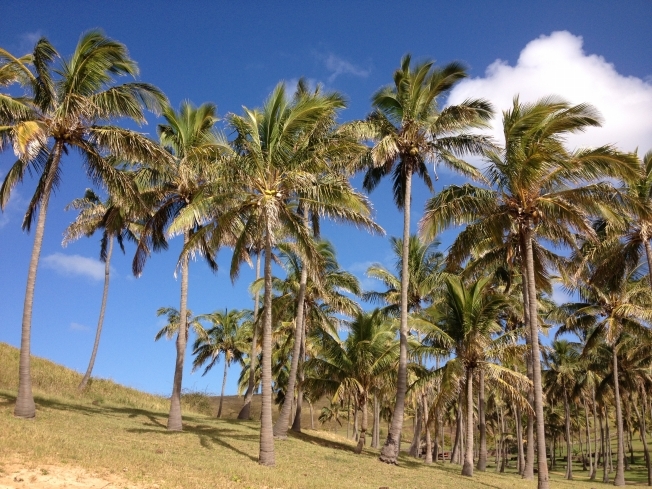 To move around the island its good to have a bike or a quad or a car, which you can all rent. 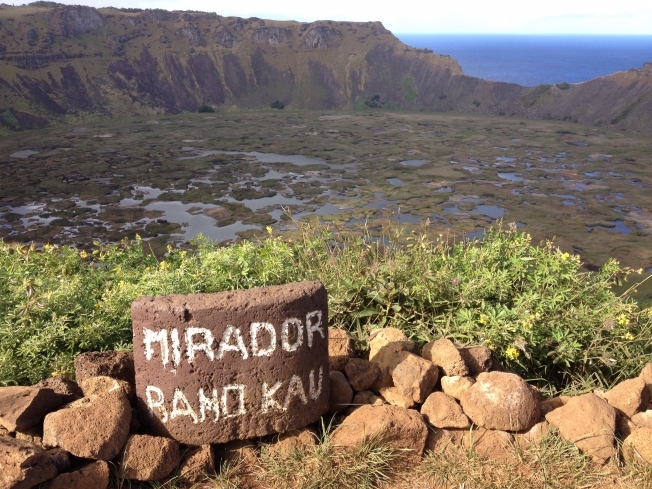 The Volcano’s name is Rano Kao it’s close to the sea on the edge of the Island and it’s huge crater with lake is worthed to take pictures from different angles. 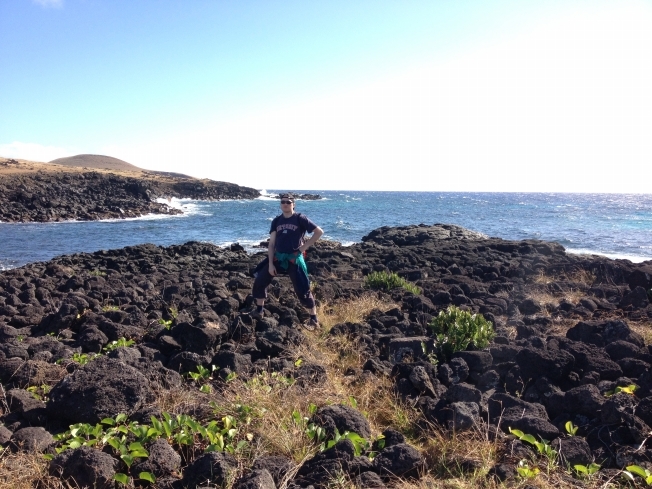 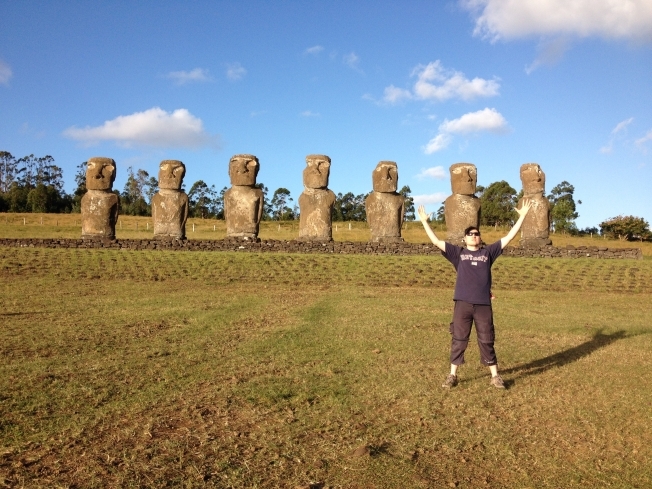 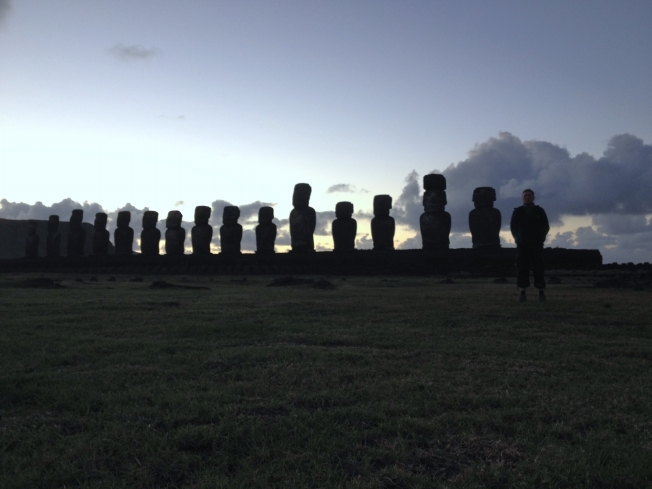 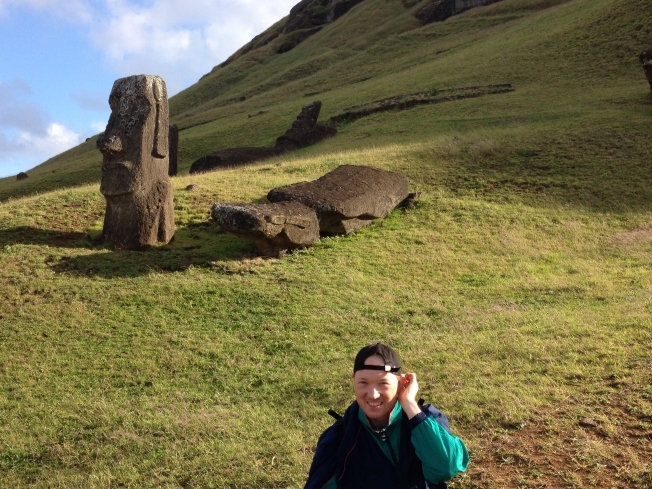 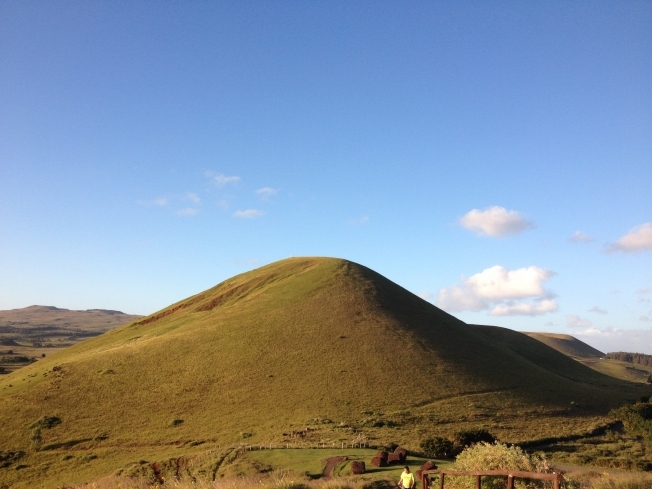 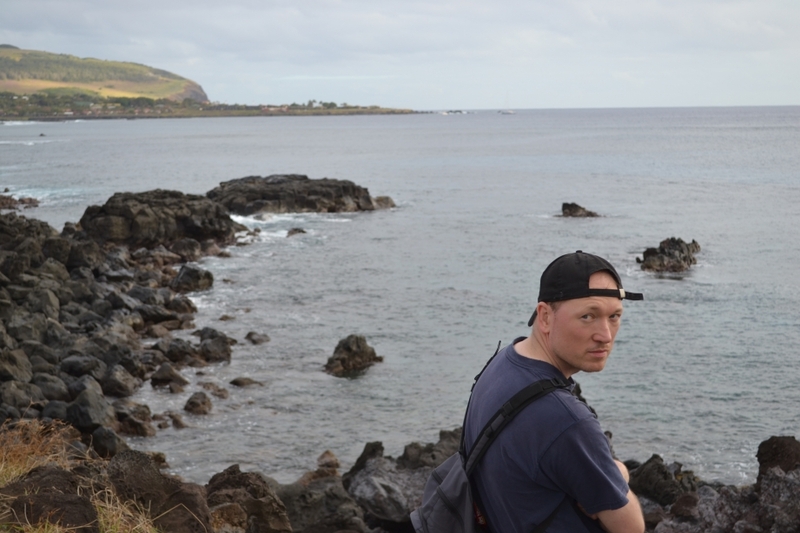 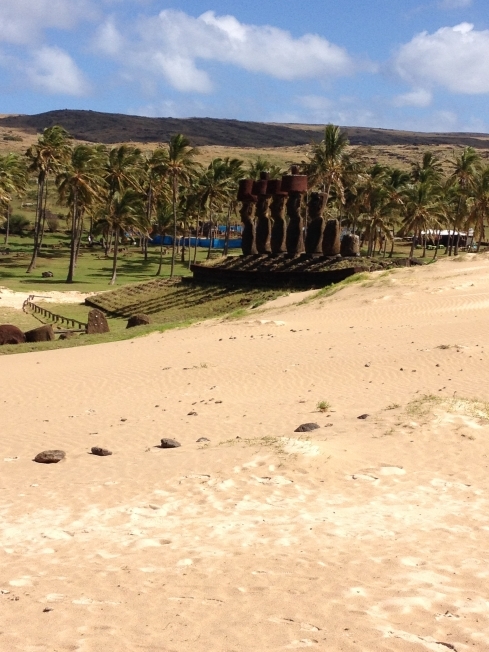 The reason why I flew to Chile was mainly to go directly to Easter Island and to discover this amazing Island. 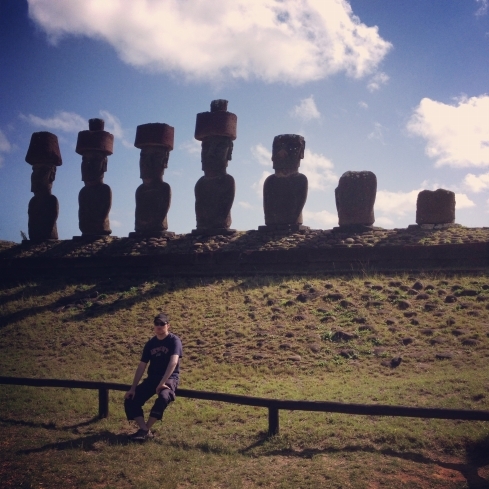 Nice beaches, beautiful nature ,statues you can only see here, a Polynesian and South American mixed vibe. 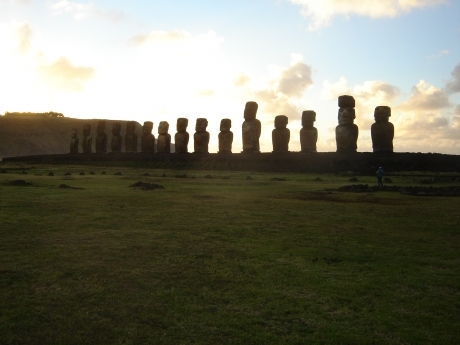 Offcourse I also did see something in Chile (see my Chile page) but I really wanted to go to Easter Island, its so far away almost out of reach untill I saw that there are several flights a week from Chile’s capital Santiago with Lan (Chilean Airlines). 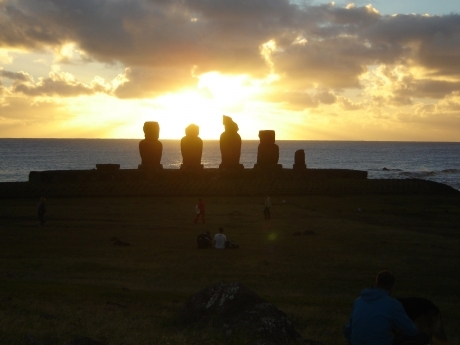 There is also a direct flight from Lima (Peru).